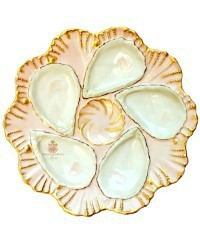 A beautiful Antique Porcelain Oyster Plate with five shell shaped wells and one central condiment well. The delicate pink hand painted color is stunning, it has a pearlized luster glaze. Each well has pastel pink hand painted detailing, this rare to find treasure is further enhanced with gilt embellishments and border. 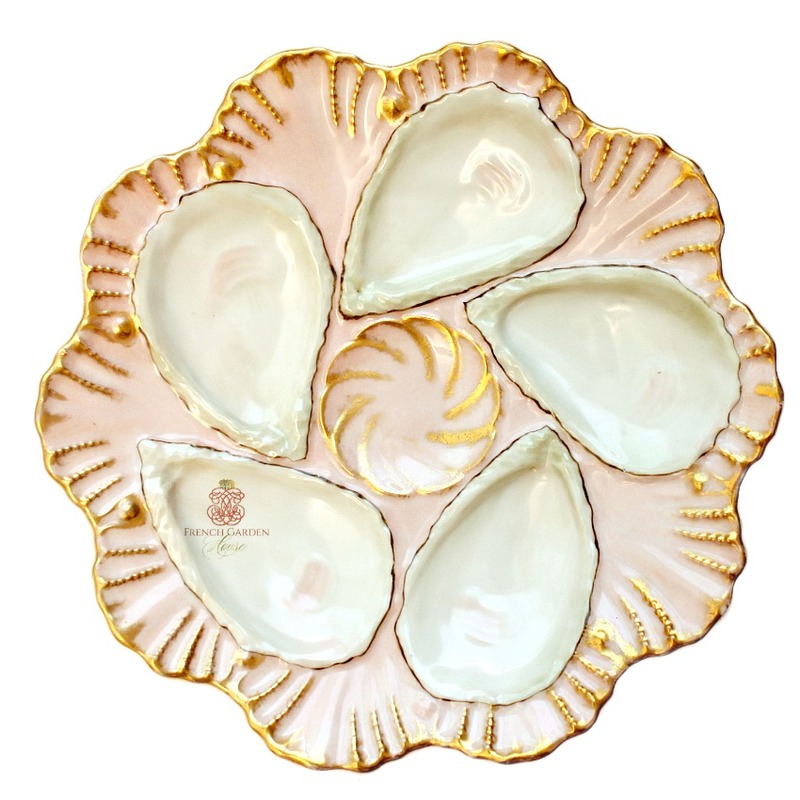 Such a decorative plate, this is an ornate 19th century rococo design, signed on the back by the artist, H.A.K 1891. 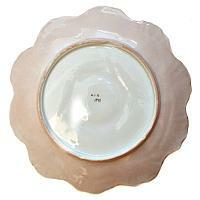 A very collectable plate in a most desirable color combination, a fabulous addition to your collection. Of note, there are some chips to the bottom foot underneath the plate...these were, after all, used to dine in style long ago!